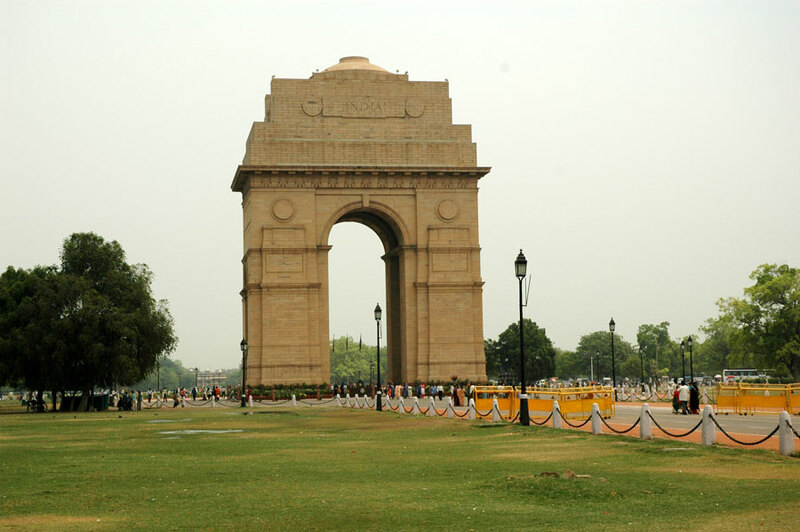 At the centre of New Delhi stands the 42 m high India Gate, an "Arc-de-Triomphe" like archway in the middle of a crossroad. Almost similar to its French counterpart, it commemorates the 70,000 Indian soldiers who lost their lives fighting for the British Army during the World War I. The memorial bears the names of more than 13,516 British and Indian soldiers killed in the North-western Frontier in the Afghan war of 1919.